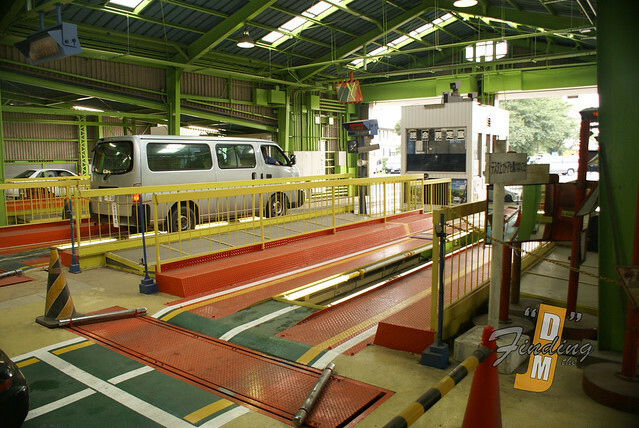 HomeMotorsportsThe Japanese Vehicle SHAKEN !! The Japanese Vehicle SHAKEN !! So a few weeks ago I met up with Fukuda-san owner of FS Auto in Saitama Japan. This is where I got to experience the magical process of the pocket book killing SHAKEN. As an automotive tech in Canada I was actually very excited to see this and compare it to my home provinces inspection. So on a Friday, which is my usual day off but a normal business for others, I went to Ageo by train since my wife had the car. So I arrived at the station and began walking, in the Japanese summer heat, to his location. As I was walking I decided to call him and tell him I would, from what I thought, be arriving soon. He asked where I was and told me to wait and he would pick me up. at the closest seven-eleven which I was very happy since I was about to pass out. So he rolled around, we exchanged a casual greeting and I jumped in the vehicle. So we chatted as we drove then changed cars, went to his yard and once again changed cars. The final car we were in was the customer’s supra that needed a new Shaken. First lunch then we were off to the Japanese DMV I guess you could call it. Once we got there we went to one building, filled out papers, payed money and left. We went to the next building and one of the workers stamped papers and I was staring around at all the workers from different shops doing the exact same thing. Finally we left the second building jumped into the car and went to the back of the testing station. 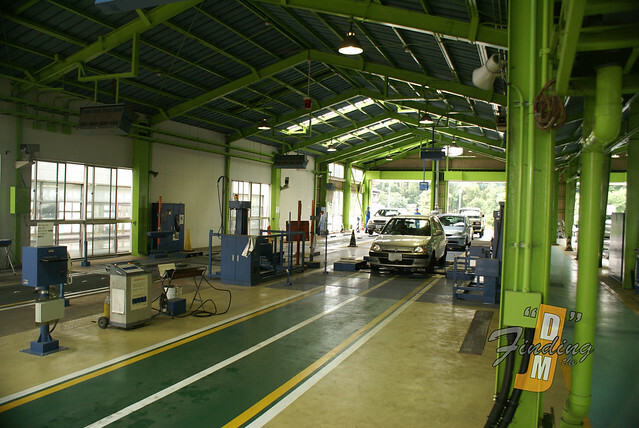 This is where the magic happens, after an initial inspection by the tester, so far so good, Fukuda-san jumped in the car and said we have to wait, Shift change. So the testing station was empty for about 15 minutes, in that time I stared at all the automated equipment filled with lights and buzzers. 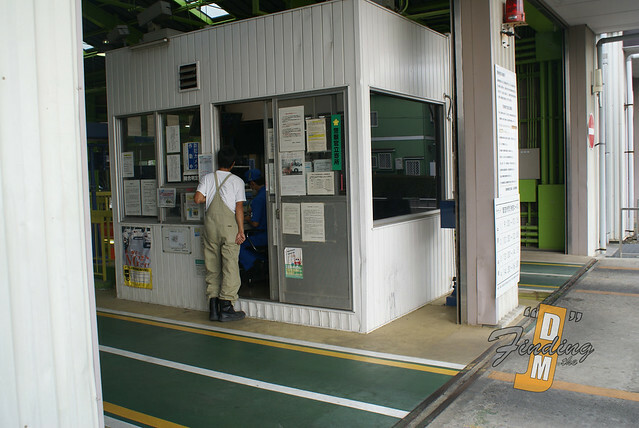 So after the shift changed Fukuda-san informed me I would have to exit the car onto a waiting area during the testing process. So I jumped out grabbed my camera like a regular “gaijin” and started taking pictures ( though I don’t think I was allowed to). First was the break test where the car stopped on rollers and checked the car’s breaks worked. 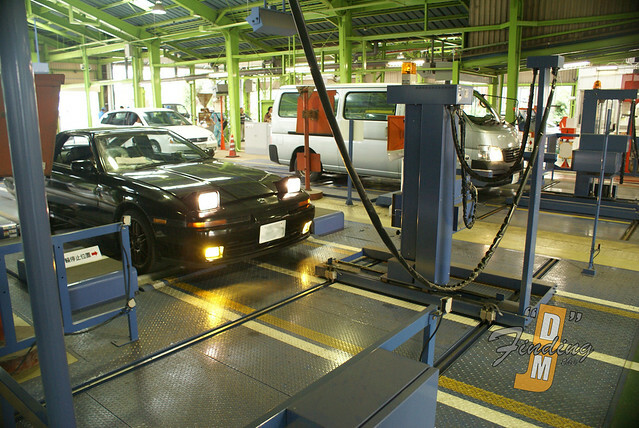 At the same station a automatic headlight tester checked the vehicle’s headlight were in the correct alignment. 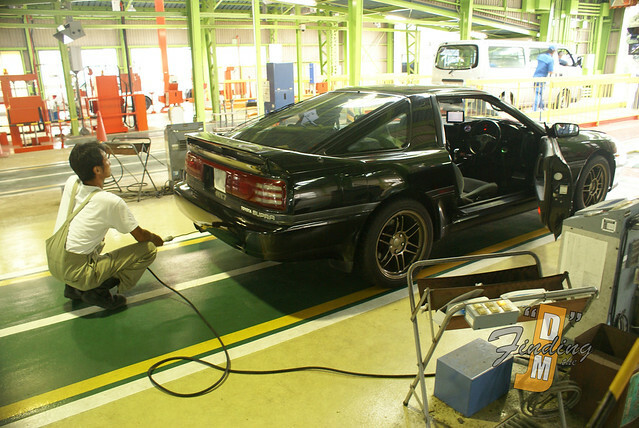 Next was the emissions gas test where Fukuda-san put a probe into the tailpipe and I guess all was well. Finally a pit where a technician checks the chassis components. 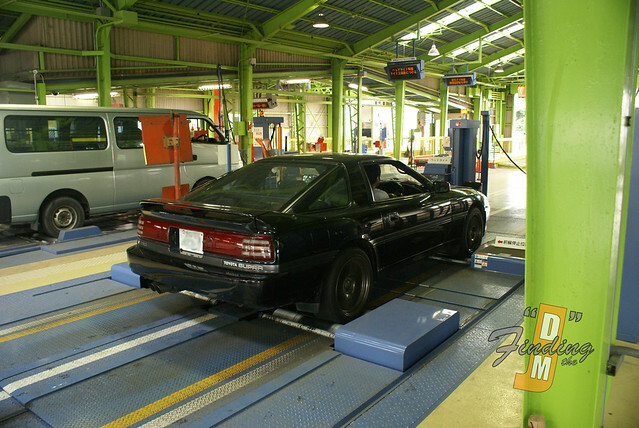 After that Fukuda-san brought the car outside, got out of the car, and spoke to the worker at the end of the line. He then turned to me and said “ok, all done” and then we went back to his yard. He was quite surprised to the fact that I enjoyed myself at the Shaken place. 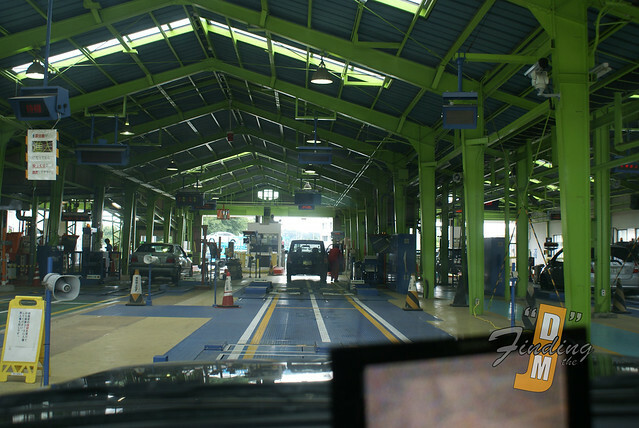 I then compared with the very inexpensive inspection in my home province. After Fukuda-san dropped me off at the station and I made my way back home soaked in sweat smelling like a BK Whopper and or bad onions. It was a good day and it was nice to learn something new in Japan as I always enjoy doing so.